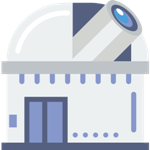 There are a number of observatories and facilities located near the top of Hawaii’s Big Island of Mauna Kea including the famous Keck Observatory. The location is favoured by astronomers because of its isolation and height which results in dark skies, clean thin air, low humidity, clear weather and location near the equator giving access to both celestial hemispheres! 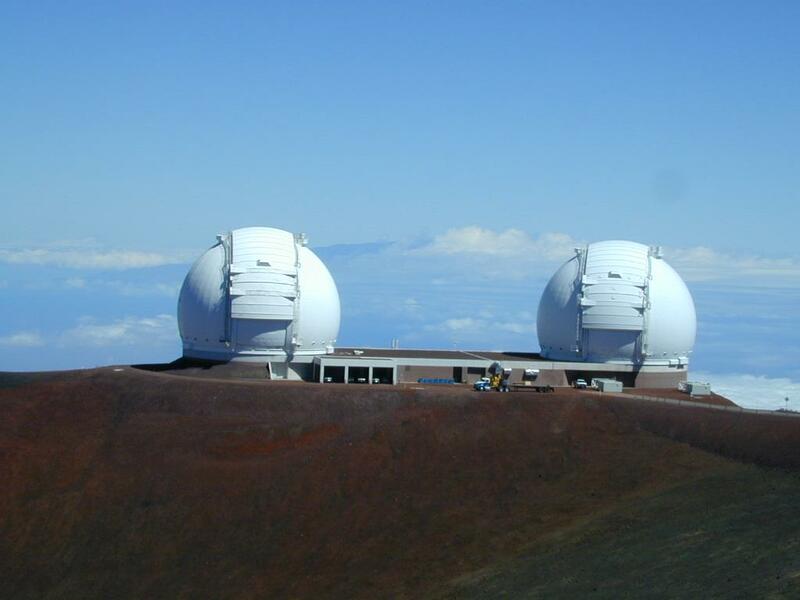 Interesting Facts About The Space Spying Mauna Kea Observatories! Following analysis of NASA’s early images from the Apollo Program on the moon and realizing without the influence of the Earth’s atmosphere that the image quality was much greater, the astronomer Gerard Kuiper searched for a site, on Earth, which most closely mimicked space’s vacuum. The high mountain of Mauna Kea on Hawaii’s "Big Island" was superb for nighttime viewing due to its isolation and height which results in dark skies, clean thin air, low humidity, clear weather and location near the equator giving access to both celestial hemispheres. 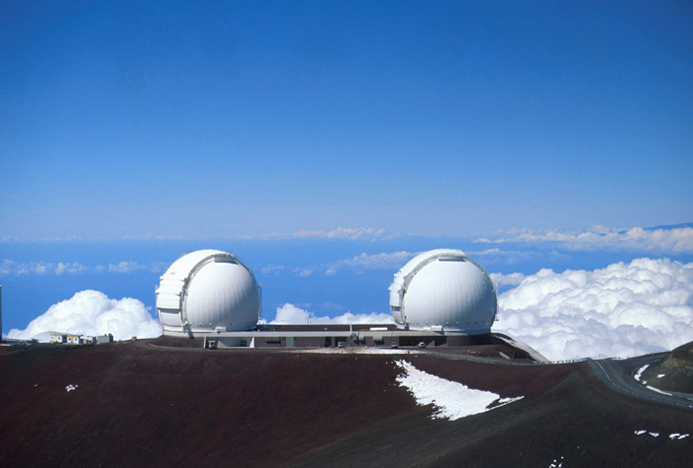 However, at over 4,200m Mauna Kea is so high that astronomers spending nights observing from the summit are recommended to acclimatise before doing so due to altitude sickness. The construction of the first telescope on a lower cider cone, for cultural reasons, began in 1967 and began operations in 1970. 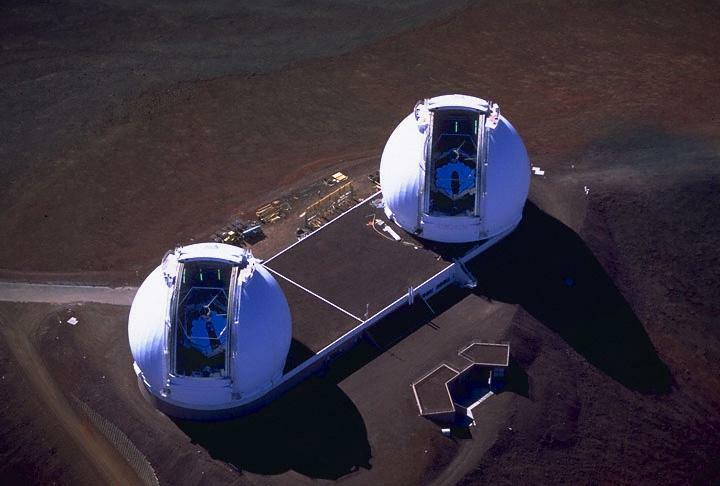 Nowadays, the summit of Mauna Kea is the site of 13 observation facilities (including the most scientifically productive Keck Observatories) operating in optical, infrared, and submillimeter light ranges - with mirrors or dishes ranging from 0.9 to 25 m (3 to 82 ft). To put that into perspective even the most famous telescope of all time, the Hubble Space Telescope, only has a 2.4 m (7.9 ft) mirror which would be among the smallest telescope on the mountain. The facilities are funded by as many as 11 different governments too so this is truly a site of international importance. Currently, there are plans to build a new telescope called the Thirty Meter Telescope, which would by far be the biggest operational telescope, but this is being held up due to cultural and environmental concerns. If it is built it is likely to be the last telescope to ever be built on the mountain. Checkout The Very Large Array!